Welcome to all our new volunteers and returning veterans! Clearwater depends heavily on our amazing volunteers and we would like to thank you for sharing a week of your lives with the Clearwater community. 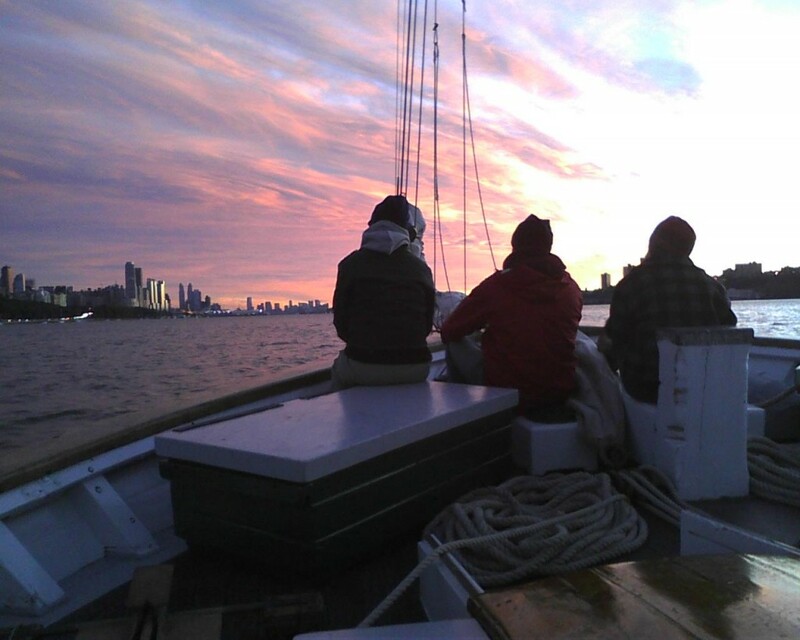 We always look forward to the fresh enthusiasm, ideas, and questions new volunteers bring to the boat, as well as the stories, songs, and memories of our returning members. Your volunteer week aboard the boat begins with a full day of training. Here are the dates and locations for volunteer training. You should plan to arrive at 9:00 am prepared for an exciting week on the Hudson River. 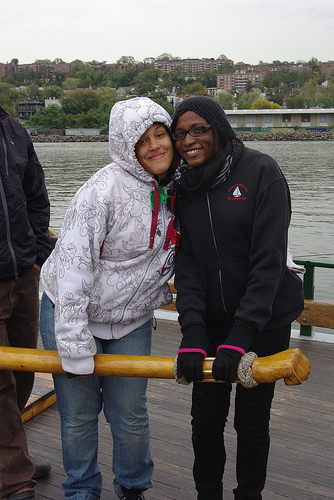 Whether you are a first time volunteer or have been coming back for years, here are some very useful educational materials to help you prepare for your week out on the Hudson River. 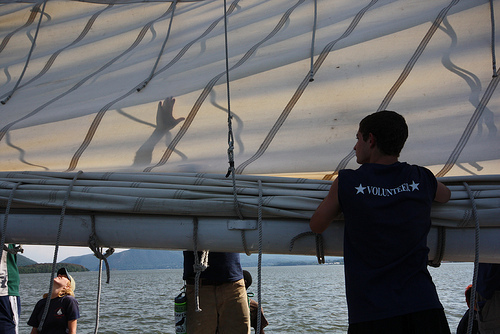 We will spend the first day with introductions, orientation to the vessel, education, and sail training. This is probably the most important day of your week onboard and the more preparation you have done BEFORE coming onboard, the better your volunteer experience will be. Look over the following documents, links, and videos for information on what to expect, packing suggestions, and our education curriculum. Volunteer Pre-Trip Quiz (Answer Key) Please take this pre-trip quiz to help you prepare for your week aboard teaching. Our eduation program relies on the knowledge of our volunteers! Clearwater Volunteer Handbook This has most of the information you will need to know in order to be a successful volunteer onboard the Sloop Clearwater. Please read through this packet before coming aboard for your training day. Mystic Whaler Volunteer Handbook This has most of the information you will need to know in order to be a successful volunteer onboard the Schooner Mystic Whaler. Please read through this packet before coming aboard for your training day. Packing List You will have some specific needs during your week aboard. Print this packing list to help you arrive with the right gear. Taking Passage This document will give you a background on what teachers and students are expecting to learn with they come aboard the ship. You will be instrumental in passing on this information! Please fill out our Volunteer Feedback Form.